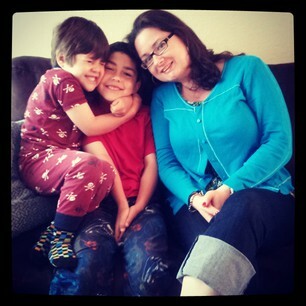 A week ago I was in Alameda, CA visiting my friends Laura and Carlos and their two boys after my stay in San Francisco. 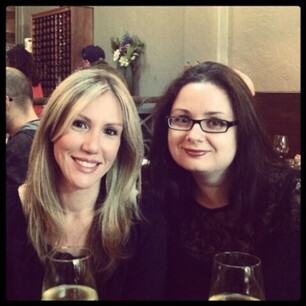 Laura and I started work within a week of each other ELEVEN years ago, and together with our friend Jenny have remained good friends despite the fact that Laura and Jenny moved from DC. It's been over two years since the last time I saw Laura and her family (in Puerto Rico!!!) 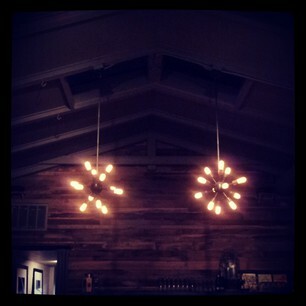 and I was eager to catch up with them and also check out their new location: Alameda, CA. But there was also something else I wanted to check out: In-N-Out!!! Yes, I know it's fast food, but I've never tried it before, and I was so happy when Laura took me there. We did not know about the secret menu, so just ordered regular cheeseburgers and fries and soda, and I LOVED it. 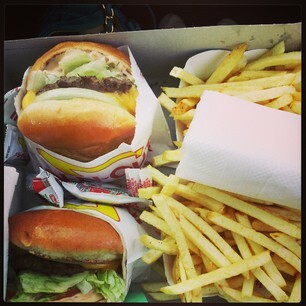 Seriously, I wish In-N-Out came to DC. But don't worry, it's not like we ate junk food daily. We did not. In fact, we made a few great meals at home. 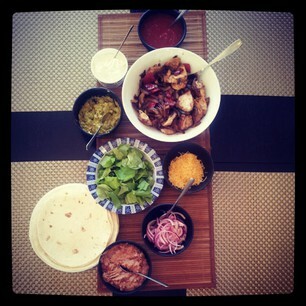 One of my favorites was the one pictured below: chicken fajitas. This dinner was healthy, fast to make, and everyone could get whatever they wanted: chicken, peppers & onions, guacamole, salsa, pink beans, cheese, sour cream, and pickled onions! Pappo is one of the many restaurants in the Alameda's downtown. Although the downtown is only a few blocks in size, you'll find several Thai restaurants, as well as Japanese, Mexican, American and Mediterranean. 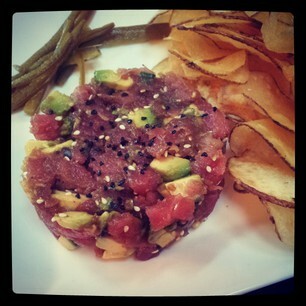 For the appetizer Carlos and I shared Ahi Tuna Tartar with avocado and pickled jalapenos. SOOO good, and I loved that it was served with potato chips. 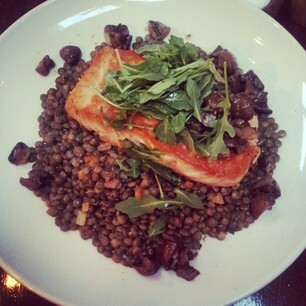 For my main course I had Pan Seared Salmon with green French lentils, roasted mushrooms and herb vinaigrette. I loved the combination of salmon and lentils. The dish felt well rounded and not heavy. The menu at Pappo is only one page, which I prefer. They concentrate on a few dishes and do those dishes well. Laura loved her Pan Seared Chicken Breast with chard, bacon, polenta and salsa verde. And Carlos had Prather Ranch Grilled Pork Chop with asparagus, farro and shitake mushrooms. I ended up eating all the mushrooms because I was the only one who liked them: winning! For dessert we split Double Chocolate Terrine with vanilla creme Anglaise and Maldon sea salt and Vanilla Bean Creme Brulee. The chocolate dessert was my favorite. 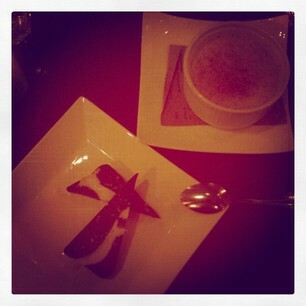 Although creme brulee was smooth and creamy, it has a slightly flowery taste to each. 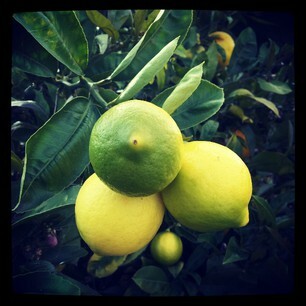 Turns out it was Meyer lemons! 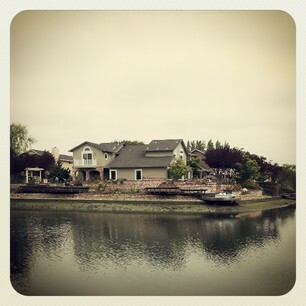 And then it was time to say good bye and fly back to DC. 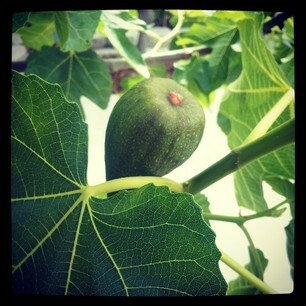 Next time I'm going to have to plan my trip so I can eat the figs Laura and Carlos have growing in the yard, but at least I had a few of their lemons. 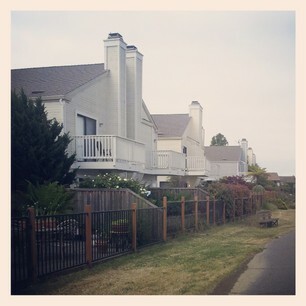 Also, if you have a family or want to retire in a gorgeous place, Alameda should be on your list!! Have a great weekend! I'll be back next week with recipes!!! Yay In-n-Out! Next time ask for animal style. :) Beautiful pictures. What a nice trip you took!